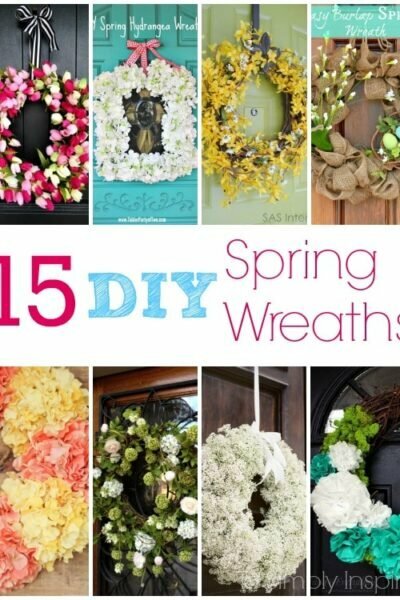 Beautify your door with any of these gorgeous DIY Spring Wreath ideas.DIY SPRING WREATHS After making our fun and easy DIY Fall Wreath, little Miss Pinterest lover has been on the search for a … Keep Reading..
Fun Halloween Front Door Decorations - So many fun ways to to welcome your trick-or-treaters.With Halloween is right around the corner, here are so many fun ways to decorate your front door to … Keep Reading.. 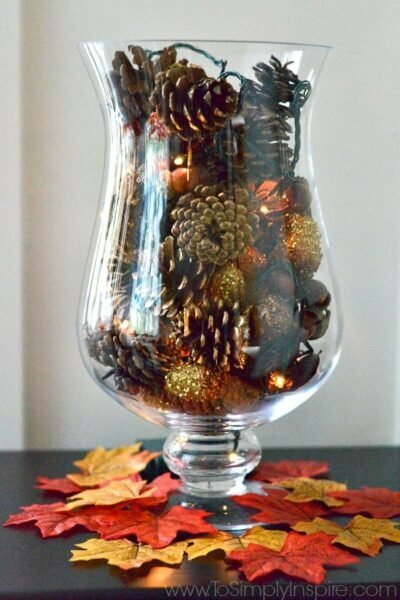 This post was sponsored by Lowe’s as part of an Influencer Activation for Influence Central and all opinions expressed in my post are my own.I have actually never decorated our mantle for … Keep Reading..
Make this simple DIY Pine Cone Vase Filler with Fairy Lights in just a few minutes to add a little glowing Fall decor to your table. 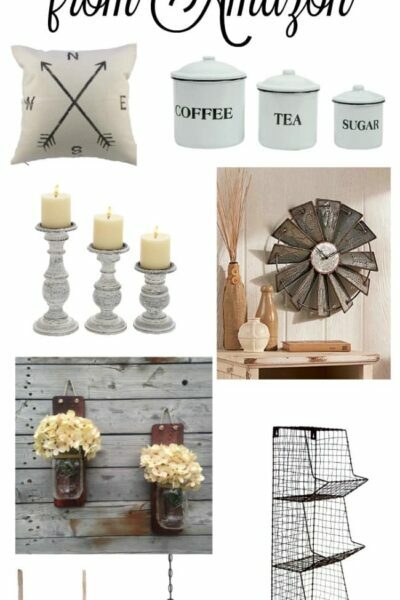 I owe this (another) beautiful DIY project to my … Keep Reading..
Who knew you could find so much gorgeous Farmhouse Decor on Amazon?! If you have an Amazon Prime membership, the shipping benefits are just as amazing. 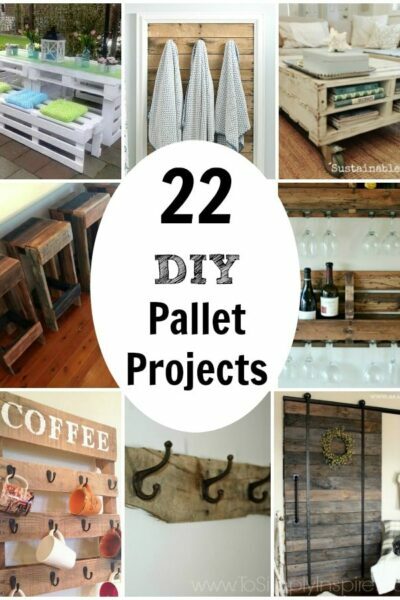 I have a big crush on Joanna … Keep Reading..
Pallet projects are gaining huge popularity in the DIY world. Rightfully so! You can create beautiful pieces of furniture and more for really cheap or even free.Beautiful pallet projects are … Keep Reading.. 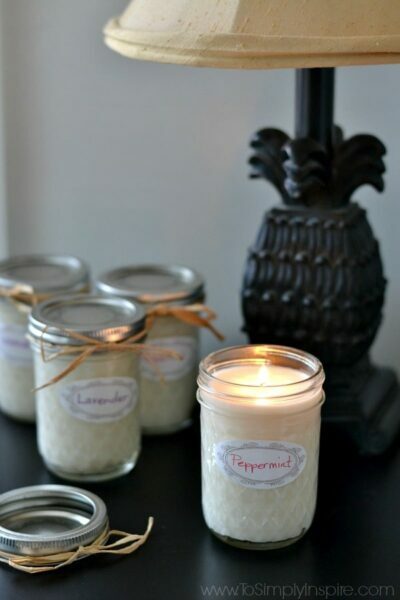 Easily make your own homemade soy candles using just 2 simple ingredients - soy wax flakes and the essential oil of your choice. 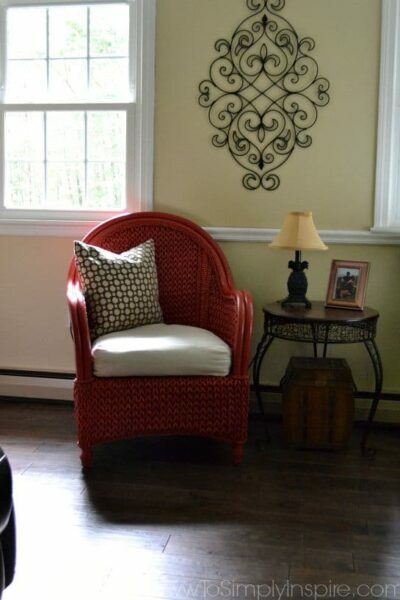 Enjoy 50% longer burning with soy candles and less toxins in the … Keep Reading..
How To Paint Wicker Furniture With a BrushEver since we finished installing our hardwood floors I have been analyzing all my furniture. For some reason, I never realized how much dark stuff we … Keep Reading.. This Homemade Potpourri for the holidays is full of favorite scents of the season. 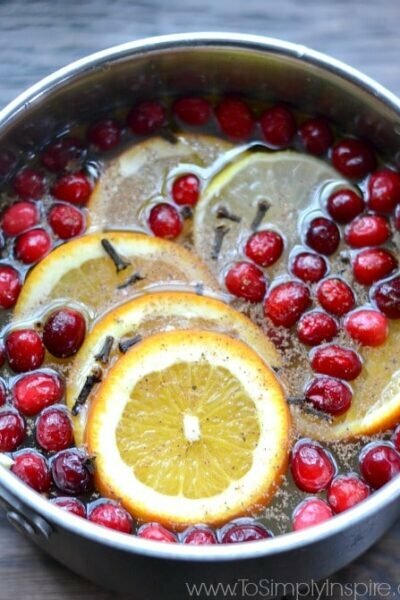 Simply simmering cloves, cinnamon and citrus fruits on low will fill your home with comfort.There aren't … Keep Reading.. 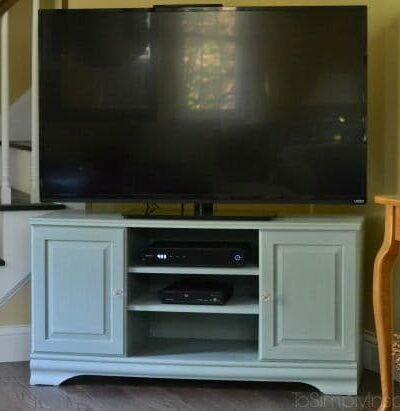 I am so happy to share this Chalk Paint Tutorial and TV Stand Makeover that I finished last week. 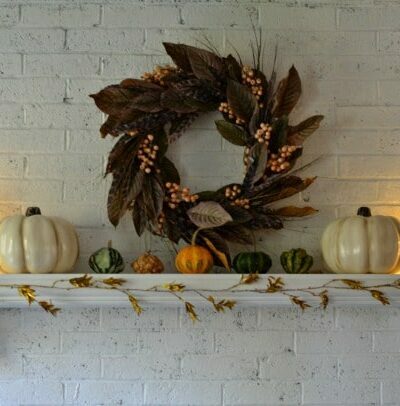 Using chalk paint is so easy with gorgeous results! 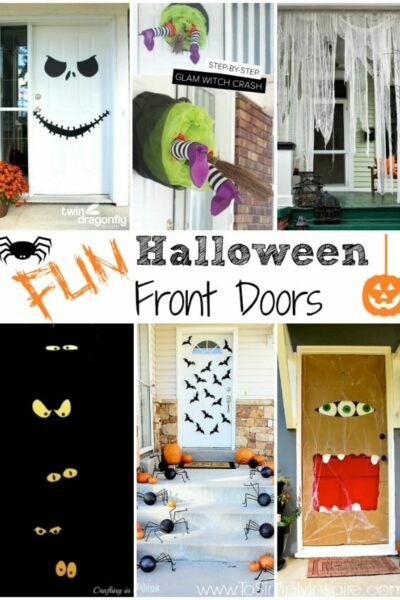 No prepping, no sanding, no priming!Last … Keep Reading..